It is never too early to plan your landscaping projects. When spring arrives it is the perfect time to step outside as well as the perfect chance to update your outdoor space so that you can completely immerse yourself for the coming warm weather season. Here are some helpful landscaping tips for spring. Many people love both the indoor and outdoor features of their homes. So much so that they would want to find a way to enjoy both without having to sacrifice the comfortable features of their interior spaces. A good way to enjoy the indoors out is through thoughtful lighting. This is an element that can provide a wonderful, warm ambience to a space. It could be as simple as gathering around a warm outdoor fireplace to going up a set of stairs with subtle down lights into a perfectly glowing swimming pool, to the majesty of an up lit planted urn, these are just some of the landscaping tips I can offer you. 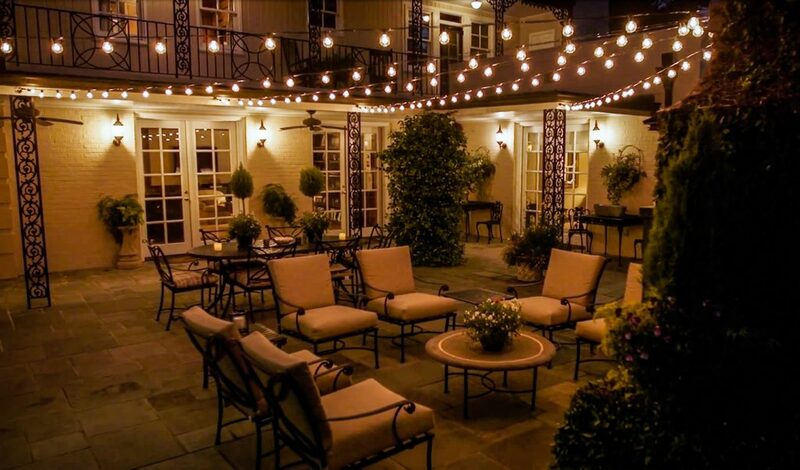 Through lighting design one can create dimension that can enhance the ability of any homeowner to enjoy and appreciate their outdoor living spaces with family and friends. Cooking and entertaining go hand in hand together. One trend that landscape designers do is seating arrangements that offer inviting spaces for both small and big gathering, fireplaces and heaters in order to extend the seasons and lighting to enhance the overall experience. You can also go for a full-service kitchen and bar if you want to go the distance and pair this with a nice lounging area. Complete the set with a big flat screen TV or a nice audio setup for singing and dancing. If insects are a problem where you live, a screened porch or a gazebo might be a good choice. This can also provide additional protection from the hot summer sun and can provide a bit of warmth in the fall and spring. 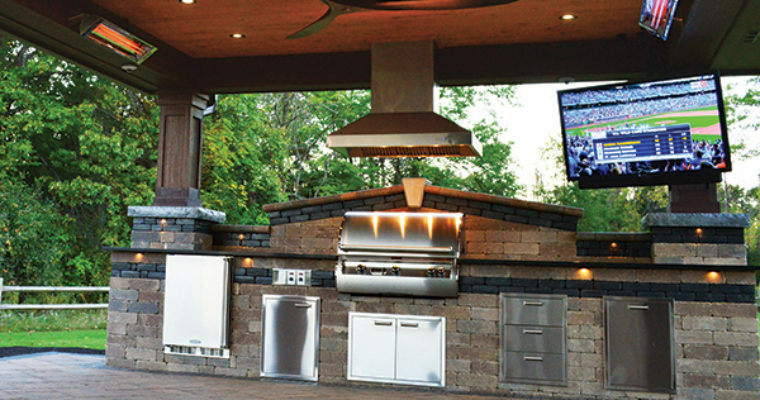 One of the great landscaping tips I can recommend when entertaining guests in the spring through some backyard activities is to maximize the experience with an outdoor kitchen that features a refrigerator/icemaker, sink and storage cabinets. An outdoor shower that is smoothly integrated into the landscape and add some form and function to your setup. Custom fire-pits are all the rage these days. A smartly designed fire-pit can bring the inside luxuries outside and can extend the day, season or night. What can be better than enjoying a nice conversation with close friends or family while cozying up to the warmth of a fire-pit? With more and more people opting for a healthier lifestyle and healthy eating, there are more and more organic gardens, kitchen gardens and herb gardens out there. This is practical and a cost effective means to get fresh food easily. 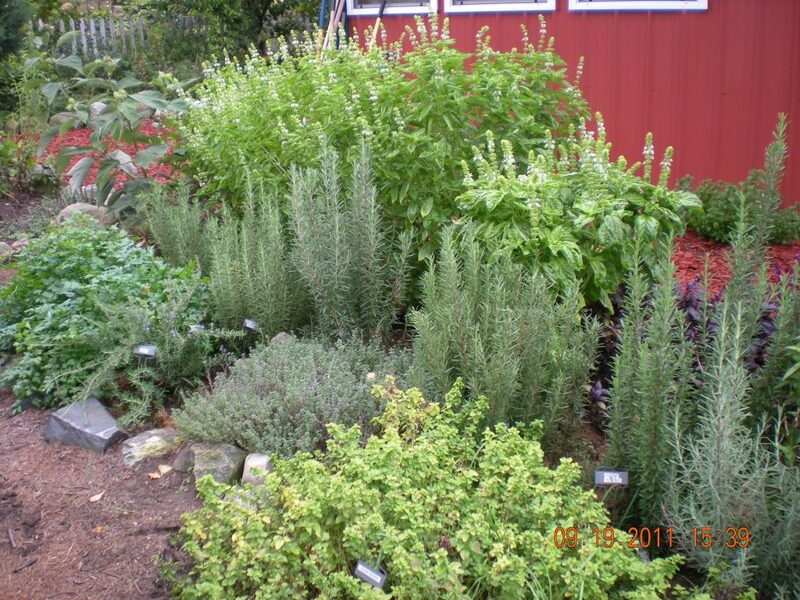 One of the better landscaping tips I got from Diversified Mosquito and Turf was to have a nicely designed garden located near a kitchen entry of the house is a perfect design choice for any homeowner that wants to practice healthy eating. Water is a perfect design element to any outdoor setup for the spring. As a design element it offers a multitude of effects via the expression of movement, color and sound. Its ability to capture and bend light as well as influence temperature and mood is a must-have for any outdoor landscaping design setup. It creates an energy and spirit that can create a meditative mood or encourage a playful nature to anyone that sees its beauty. If used in the garden it is best placed in a location that is close to human interaction so that it can meld effortlessly with the senses and move the soul. When we talk about ready mix concrete we are referring to custom made concrete that offers improved sustainability and durability. Ready mix concrete is custom made and can be ordered in batches and comes with its own specifications depending on use. If you are thinking of having some remodeling done, here are some benefits why ready mix concrete is the best choice. According to ready mix concrete delivery Minneapolis MN experts; ready mix concrete is produced under controlled conditions using high quality raw materials. Consumption of cement is reduced by ten to twelve percent due to better handling and proper mixing. Moreover, there is further reduction if mineral admixtures and other materials are used. The inherent mix of concrete and aggregate can be tailor made to suit the needs of the contractor and the project. According to concrete delivery Minnesota experts, the fact that ready mix concrete uses bulk cement as opposed to bagged cement, dust pollution is minimized. Moreover, energy conservation and resources are achieved due to the more efficient process. Need bulk concrete for a foundation pouring? No sweat because ready mix concrete is made by batches from the plant and then transported using a mixer until it is ready to be poured on site. Timed deliveries are possible because builders can order in advance what they require. Moreover, it eliminates the need for storing other materials such as cement, water, fine aggregate and admixtures. Concrete is by far the most versatile construction material around. However, there are some myths that developed with concrete basement floors that need to be corrected so that people would know what is real and what is just a story. Here are some corrections to some popular myths regarding concrete basement floors. According to ready mix concrete delivery Minnesota specialists; basement concrete floors are rarely cold and damp especially in newer homes where there is improved insulation. Moreover, today’s building codes usually require installation of a vapor barrier under the slab in order to prevent moisture migration. In order to ensure a warm concrete floor in winter, homeowners can opt to install an in-floor radiant heat prior to the pouring of the slab and the basement is one of the most popular areas to install these systems. If the basement floor is uninsulated, using carpets will make it susceptible to mold and mildew. If there is high basement humidity, the temperature of the floor under a carpet may fall below the dew point of the air and then moisture will accumulate. If the floor is already insulated or has under floor heat then rugs and carpets may be ok. 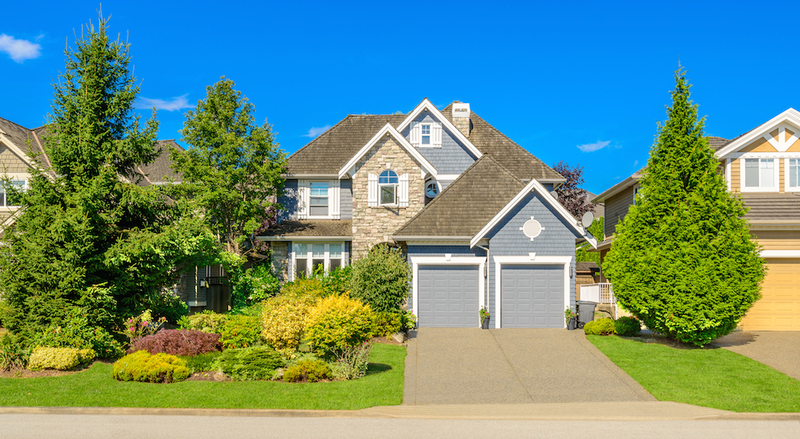 According to concrete Minnesota experts, unless cracks are serious and is due to structural problems then it is best to address the issue at once. However, a lot of customers prefer the fractured look as it gives the area a rustic appearance. If the cracks are considered an eyesore then a polymer-modified cement-based overlay is the best solution for hiding them along with stamping, staining and stenciling. This is not true. With decorative concrete there is no risk of chemical emissions, which is more common in carpets. Emissions from chemicals tend to be more dangerous in basements spaces that are not ventilated really well. Moreover, carpets tend to harbor dust mites as well as many allergens that can cause a skin reaction. When it comes to outdoor kitchen flooring, select accent materials that are already present on site or indoors. For example, using the same or similar flooring material that complements but different than everywhere else in your home can provide better definition and provide you with that outdoor room feel better. The use of steps for instance in order to establish height variations also enriches the feel of a separate room. You can use real used brick along with exposed aggregate concrete, Windsor Cobblestone texture stamps and fleur-de-lis as well as grape vine borders. Use of slate or cast-concrete tiles that are designed for outdoor use or clean, washed concrete that come in integral hues. When choosing a stamped concrete pattern for your outdoor kitchen make sure to select a pattern that is not too deep to drain. It should also let you set outdoor furniture properly leveled on top of it as well. Use a high-quality penetrating sealer around any floor that is in the dining or cooking sections to prevent oil and wine spills from staining. Concrete seat walls are perfect for putting emphasis on focal points in your garden or yard. They are cheap to make and offer great value with very little maintenance needed. According to Concrete Twin Cities MN experts, seat walls may be installed for a variety of purposes and in a number of different styles. For instance, the walls may be curved, freestanding or straight or it can also be integrated into a retaining wall and then finished with stucco or stone. 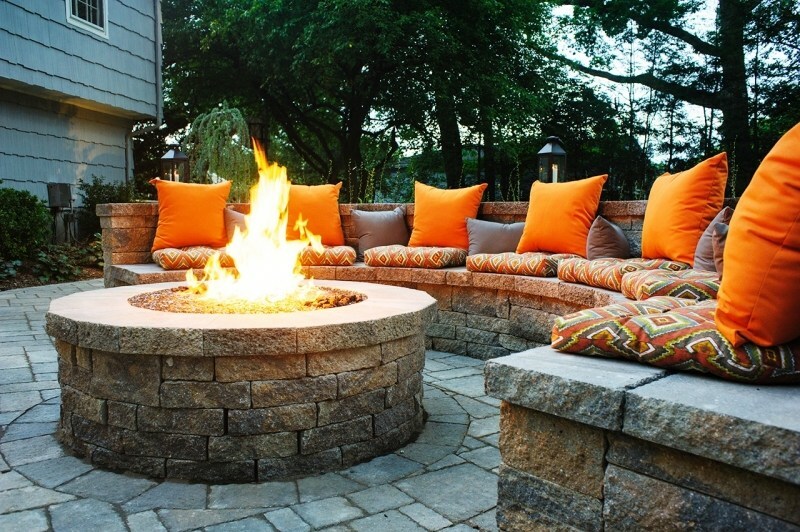 You can easily add seating to one side of a fire pit by having a seat wall installed. The design could feature stacked stone with a colored concrete cap. Using an S-curve allows it to integrate properly with the rounded design of the fire pit. By installing it on just one side of the fire pit it allows you the possibility of being able to add a more comfy chair that is next to the warm fire. According to concrete delivery Minnesota specialists, seat walls can make amazing borders for patios. The seat wall can provide additional seating in the event that there are not enough chairs or tables around. Using stamped concrete can help make the design blend with one another. As a rule, contractors usually construct seat walls along a section of the patio as opposed to all the way around it in order not to make it look cramped or spaced off. Seat walls not just provide an area where you can relax but it also doubles as a safety feature. If your yard slopes downward from the back of the patio, the seat wall prevents people from stepping off or tripping due to the change of elevation. Moreover, the seat wall also puts emphasis on the symmetrical patio design by putting some attention on the edges. You can add a white stucco backrest to make it possible for guests to lean back while sitting around the fire pit. This offers an amazing way of providing comfort to built-in seating. I you want to achieve the ultimate comfort, seat walls need to be at least of the same height as that of a garden bench. Moreover, if you are installing one near a fire pit it should at least have enough space away from the fire in order to prevent people from quickly becoming overheated. A practical way of integrating a focal point that also serves as an entertainment section is to provide well-placed concrete seat walls. According to concrete Minneapolis MN experts, when designing outdoor space for entertaining the 1st thing that one should do is to divide the space into outdoor rooms. To do this one needs to establish varying levels in the yard such as utilizing a collection of cast concrete steps and low retaining walls that are constructed at seat height. The integration of seat walls in your yard or garden can establish totally amazing focal points. 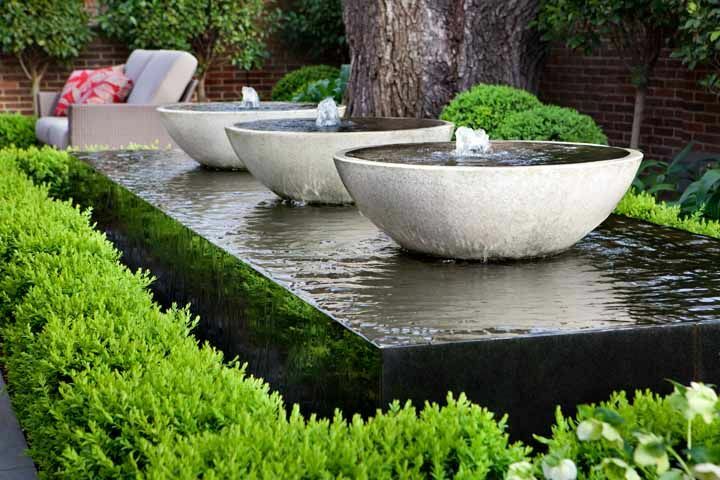 You can use these unobtrusive objects to surround or put emphasis on a water feature or make a fountain more majestic. In big gardens concrete seat walls offer better definition of outdoor spaces, identify space and put emphasis on focal areas. They are a practical way of providing a sitting room for entertainment without making use of too much space. For instance, a well-placed seat wall can easily provide seating for as much as ten to fifteen people. It is recommended that you plan on at least twenty two to twenty four inches of width for each seat want to place on the wall. Due to the rising cost of many outdoor furniture products, built-in seating offers amazing value with very low maintenance requirements. According to concrete Saint Paul MN experts, constructing seat walls does not require special permits in most areas. One can be constructed using an 8-12 inch cinderblock and then embellishing it with a decorative cap of brick, stone or even bull-nosed cast concrete. The standard seat height for adults ranges between 18 to 22 inches with a depth of at least 12-18 inches. For children, the walls need to be shorter. Ensure that there is enough drainage around the area to avoid mosquito habitats while correct waterproofing will greatly minimize mineral buildup on the face of the walls. Adding French style hydrostatic relief dams or simple weep holes can greatly minimize pressure from behind the walls. I am not a big pet person but I do not dislike pets either. It is ok for me to be around people that have pets but what I can’t fathom are obnoxious dog owners that seem to not care or know how to practice good etiquette when they are outside with their pets. Here are some etiquette rules for dog owners to consider. This simply has no excuse. If your pet poops in public please have the decency to pick it up and dispose of it properly. A customer in a fancy restaurant did have a baggie for her pet that pooped but instead of disposing it herself she waved it around for the waiter to pick up, the bag was transparent and needless to say other diners saw what was inside (including yours truly) while having their very expensive meal. If your pet dog barks a lot in public then it may be advisable that you at least do something to help minimize this. Dog boarding Big Lake specialists recommend practicing the attention exercise in order to redirect your pet’s attention. This approach calls for positive reinforcement with treats each time your pet focuses on behaving. Alternatively, you can also use a calming cap in order to minimize her field of vision. Allowing your pet to bark incessantly not only is annoying to others but downright rude. Your pet dog may be friendly to you and your family but not everyone may be comfortable around dogs and every dog owner should be responsible enough to anticipate and be respectful of others. According to dog kennel Elk River experts, it is advisable to allow your pet to approach another only if that person oks it. If you see another dog and owner come by, ask first and be sure to honor the response regardless of how behaved your pet is around other dogs and strangers. Dogs are great pets and companions. However, not all people may be comfortable around them. It is advisable to practice good etiquette when you are in public so as to avoid any untoward situations. You’ve heard about pet boarding from some of your friends but still not sure whether or not you want try it? According to dog kennel Albertville experts, each year the number of pets left at home that suffer from undue stress is rising. High stress levels in pets can lead to depression and unruly behavior. If you want your pet to be happy while you are away, don’t leave him at home, try a dog kennel facility near you. Here is why. You need to believe me when I say that dog boarding kennel staff has seen and heard it all. So much so that they already have protocols in place to be able to address just about any possible situation your pet may have. Your pet suddenly decides to get picky with food? Does your pet suddenly have a bad case of the runs? Is he prone to separation anxiety? There is nothing to worry about because staff at dog boarding kennel facilities have adequate knowledge and skills to handle just about every situation. There is a veterinarian on call should the need arise. According to dog kennel Big Lake experts, they ask dog owners to bring in with their pet their favorite toy, food and blanket so they won’t feel like they have been thrown into a strange and unfamiliar environment. If your pet is really anxious, staff may even ask if you could leave a used item of clothing so your pet can smell you are nearby. Does your pet require medications? No problem. Staff members at reputable dog boarding kennel facilities are adept at giving appropriate medications whenever necessary. As a matter of fact a lot of facilities can even provide injections if your pet is diabetic or if their medications require it. While this may cost a little bit more, than say leaving your pet with a friend, you can at least rest assured that he will get all the attention he needs. So the next time you go on vacation board your dog at the nearest reputable dog boarding facility and have peace of mind. Doggie day care or dog boarding for some can be a healthy and rewarding experience for your pet dog. It will keep your pet physically and mentally fit all throughout the day. If you need to leave your pet for the day, do not leave him at home locked up in their crate, doggie day care or dog boarding is the best solution. According to dog boarding Kennel St. Michael experts, dogs get bored and easily agitated if they do not receive the right stimulation that can make use of their energy and curiosity. It is not advisable to leave your pet all cooped up in a crate all day. Why not let professionals supervise your pet in a controlled environment so they can enjoy themselves. After a good day of play, your little one will definitely go home tired and happy for a nice quiet evening with you. Your pet will also benefit from the socialization that comes with interacting with other pets at the dog boarding kennel Elk River facility for example. Your pet under supervision will have the opportunity to meet other dogs as well as new people. Do not be afraid if your pet is a bit timid as the center can adjust to your dog’s needs so he can slowly get used to others without getting stressed. Not all dogs may be allowed access to a doggie day care facility because they need to ensure that he or she will not harm other dogs. There is a socialization interview and records of current vaccinations may be needed. Many facilities also go for an age requirement of 4 months and older, be in good health and flea and tick free. When it comes to vaccines, your dog must already have the following before being allowed entry such as: rabies, distemper, Bordetella or kennel cough vaccine within the last 6 months and monthly flea and tick prevention meds. Your dog is special and if you want the best experience for your pet while you are away, give him one that can improve on his physical and social skills safely in a controlled environment such as a doggie day care facility. Frankly speaking if you are going to board your pet at a reputable dog boarding kennel then there is absolutely nothing to worry about since it can handle most situations that your pet may encounter including sickness and aggression from fellow canines. However, not all boarding facilities are the same while good dog boarding Buffalo MN facilities will do everything in their power to keep your beloved pet safe and healthy, there is still that off chance something out the blue creeps up. Here is what to expect. According to dog kennel Albertville experts, the most common injuries seen at many facilities include bite from other dogs, scratch from door or fence, ripped toenail and limping after a hard day at play or from running too hard. Most facilities will provide you an option to allow your pet to play with other residents while boarding. While there is always staff on hand watching playtimes, they still do match your pet first with others that have similar temperaments. Dogs will always be dogs, one moment they are happily playing about the next second instincts take over and injuries could sometimes occur. Sometimes dogs get a bit too excited and they tend to scratch their noses near the door handle. As mentioned above, some pets rip out one of their toenails. This usually occurs when they are out in the yard having a blast. When they come back we will notice that their paw is bleeding but this looks much worse than it actually is so do not fret. If your pet is not so used to playing outside he could come back a bit sore at the end of the day but they recover pretty quick after that. When it comes to illness, one of the most important to look at and prevent is kennel cough caused by a bacteria known as Bordetella. It is quite contagious and is spread by direct contact. The best way to prevent this is to ensure your pet is current with all his vaccinations and is healthy and rested. If you are thinking of boarding your pet and are concerned that he might catch a disease or be injured, do not be so worried as reputable facilities will require boarded pets to have updated vaccinations. You could always instruct staff to limit physical playtime if you feel your pet is not so used to interacting with others. Good Day! Welcome to Rethord . I'm Mae Fuller and this is my site. Your one stop for hobbies, crafts and household tips.